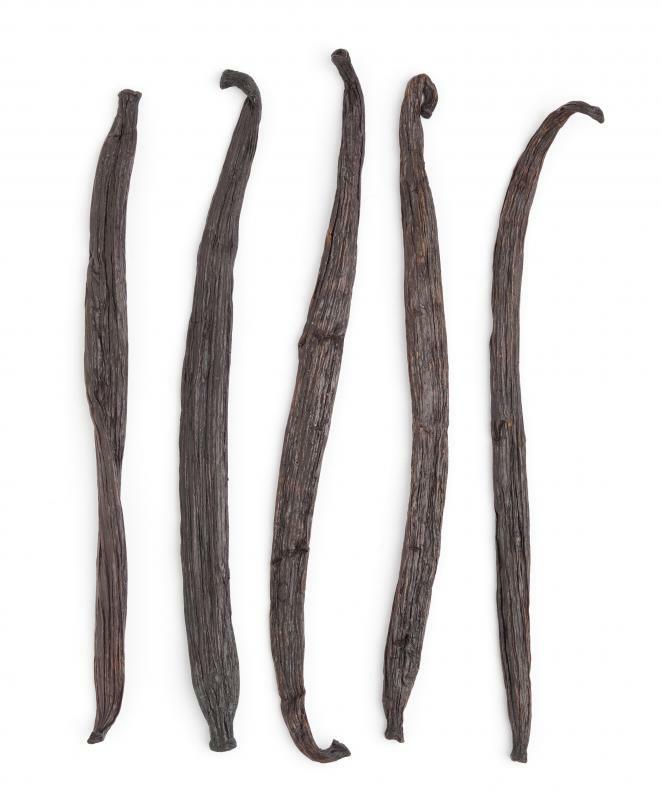 Vanillin is an aromatic aldehyde obtained from vanilla beans. The chemical formula for aldehydes is R-CHO, where R represents the rest of the molecule that is attached to the carbon of the aldehyde group through a single bond. Aldehydes are very common compounds, and the simplest is formaldehyde. The chemical structure of formaldehyde is a single hydrogen atom which is bound once to the carbon of the aldehyde group. It has the chemical formula of CH2O. The physical properties of aldehydes differ greatly due to the wide range of R groups attached to the -CHO group. It is the rest of the molecule that determines how the aldehyde is going to appear and act. Many different fragrances are aldehydes, and these molecules are also found in many essential oils. 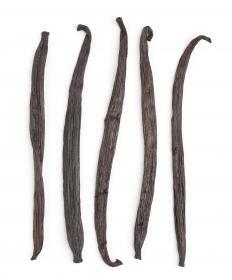 Examples include vanillan from the vanilla bean and cinnamaldehyde, which provides the smell and flavor of cinnamon. Aldehydes can be formed by the oxidation of an alcohol. During this chemical reaction, the alcohol loses a hydrogen atom to another molecule — in other words, it has been dehydrogenated. The resulting molecule now has the -CHO group of an aldehyde at the end of it, instead of the -CH2OH of an alcohol molecule. Through the addition of water, an aldehyde can form an aldehyde hydrate, which is then oxidized to a carboxylic acid. These are common organic acids, such as acetic acid found in vinegar and formic acid that is produced by ants. The type of alcohol that undergoes oxidation determines the type of molecule that results. To form aldehydes from alcohol oxidation, a primary alcohol is oxidized, or loses a hydrogen atom. Primary alcohols have only one R group attached to the -CH2OH group; secondary and tertiary alcohols also exist, with two and three R groups respectively. When secondary alcohols are oxidized, ketones result. In contrast, tertiary alcohols cannot be oxidized.